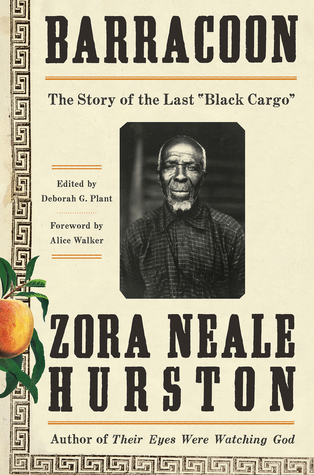 Barracoon is the field work of legendary writer and anthropologist Zora Neale Hurston. It is the story of the last known survivor of the African slave trade, Cudjo Lewis, in his very own words. In 1927, Hurston traveled to visit Cudjo to his home in Alabama, and over several weeks interviewed him directly, transcribing his account of how he was taken captive at the age of 19 in an area now known as the country of Benin and transported illegally to America in 1860. She completed a book containing Cudjo’s story in 1931. However, her book never found a publisher and remained locked away in her archives at Howard University for over 80 years. The reasons why Barracoon was never published are quite obvious. For one, Hurston insisted that Cudjo’s voice be heard and he be allowed to speak in his own dialect. Second, it implicates Africans as profiteers within the nexus of the slave trade, a fact that many historians have long denied. Originally named Oluale Kossola, Cudjo was captured by a rival tribe and was sold into slavery, a common practice on the continent for hundreds of years. He spent three weeks in a stockade (called a barracoon) and was subsequently shipped to America on a ship named Clotilda. Once in America, Kossola is renamed Cudjo and lives as a slave for five years until he is freed by Union soldiers in 1865. He eventually marries and has six children, all of whom die before his own death in 1935. If you are unfamiliar with rural Black Southern dialect, you will have a helluva time with this book. Hurston was right to insist on not changing Cudjo’s words, and as you read this book you will understand why. I am fairly familiar with the cadence and the speech patterns of Black dialect, yet I still found it helpful throughout this book to read Cudjo’s words aloud, his speech ‘as is’ is critical to the understanding of his story, along with Hurston’s prose. Also telling were the many times in the book where Cudjo refused to speak, preferring instead to sit on his porch and eat a peach or share a watermelon with Hurston in silence instead of talk about the horrific experiences he’d gone through. I loved this book. I feel it is definitely a story that demands to be told, especially when there’s an open bigot in the White House and one ignorant public figure in particular who is dumb enough to actually open his mouth to suggest that “slavery was a choice.” This book seems timely and well-intentioned, in the climate of so much rhetoric that seeks to undermine the horrors of slavery and its present-day implications. Highly recommended–don’t miss this one.